Sivaraja Yogi Thycaud Swamikal profile and biography is given here. Thycaud Swamigal was an astute social reformer ever lived in the state of Kerala. He used to practice what he preached. Because of this, he got disciples from all walks of life, ranging from those lived in mansions to those who lived in huts. He believed in the universal brotherhood and the universality of the religion. Ayya Swamikal was a social reformer from the state of Tamil Nadu. Though he was from Tamil Nadu, his sphere of action was destined to be Thiruvananthapuram. He was the revered Guru for a host of famous personalities who had carved their niche in the cultural space of the state. They include Ayyankali, Sree Narayana Guru, Chattampi Swamikal, Swayam Prakasha Yogini, His Highness Maharajah Swati Tirunal, Raja Ravi Varma, A. R. Raja Raja Varma, Pettah Fernandus, Thakkala Peer Muhammad etc. His original name was M. Subbaraya Panicker. For his disciples, he was Sivaraja Yogi Ayya Swami Thiruvadikal. For the people of Ananthapuri, he was Thycaud Ayya. His co-workers called him by the name Suprand Ayya. Though he was known by different name, he was a humble man. He worked in Thiruvananthapuram as the Senior Manager of the Thycaud Residency. After a while the Maharajah of Travancore state promoted him to the senior position of Superintendent in Thycaud Residency. At the request of Maharajah, he became the Tamil language Tutor of Mc. Gregor who was initially the Malabar Collector and later the Resident of Travancore. 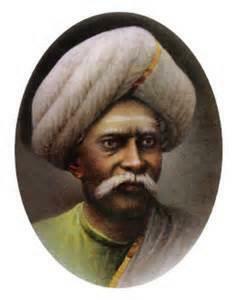 Sivaraja Yogi Ayya Swamikal was born in the year 1814. His parents were Muthukumaran from Malabar and Rugmini Ammal from Kollam. His grandfather Sri Hrishikesan and his father Sri Muthukumaran were yogis. His original name was Subharayyan Panicker. The family of Ayya Swamikal had to migrate from the Malabar region of Kerala to Tamil Nadu due to the fear of Tippu Sultan's aggression. At the tender age of 12 years, he was initiated into the spiritual world by two Tamil Saints who used to visit his house quite often. They were Sachidananda Maharaj and Sri Chitti Paradeshi. With them, Subharayyan went for the world pilgrimage tour. During this tour, he visited the places such as Burma, Singapore, Penang and African countries, and acquired and perfected yogic techniques of highest order. He later used to practice the very same yogic techniques while at home. The people close to him had even seen him going into the state of Permanent Bliss or Nirvikalpa Samadhi. Through the constant practice of yogic techniques, he acquired all powerful divine powers, including those for an astral travel to the inner consciousness. When he was touring different countries, he picked up the languages spoken in those countries, including those spoken by African Cannibals. After his return from the spiritual tour, he was instructed by his Gurus to do meditation at the famous Kodungalloor temple in Kerala. After a period of meditation at Kodungalloor temple, Ayya Swamikal decided to tour the princely state of Travancore. While he was staying at an accommodation in Thycaud in Thiruvananthapuram district of Kerala, The Mother Goddess appeared in "Poorna Swaroopam" before him in his dreams. As a result of this event, he decided to spend rest of his life in the capital city of Kerala. When he was staying in Thiruvananthapuram, Maharajah of Travancore His Highness Swati Tirunal happened to hear about his spiritual prowess and invited him to his palace. After meeting Subharayyan, Maharajah decided to become his disciple. Subharayyan was a great scholar who had proficiency in both Tamil and English languages. Because of this, he was given an offer to teach Mc. Gregor both the Tamil language and yogic principles. Subharayyan was very punctual and disciplined in his work. At his residence, he spent most of his time in meditation and guiding his disciples through various stages of meditation. Ayyya used to deliver lectures on Bhakthi, Yoga and Vedantha at Jnanaprakasha Sabha at Pettah. During this discourse, he used to meet famous cultural personalities of the state. These personalities used to regularly visit this venue to hear and see Ayya Swamikal. After hearing his religious discourse, many of these personalities decided to become his disciples. Following his footsteps, many of his disciples have attained the highest stage of Samadhi during their meditation practicing sessions. Ayya Swamy had disciples from all castes. During his religious discourses, he used to meet many people from different walks of life. The people whom he met were Christians, Muslims, Brahmins, Ezhavas, Pulayas, etc. Ayya had formed a doctrine in Tamil language which could be stated as "Intha Ulakathile Ore Oru Jathi Thaan, Ore Oru Matham Thaan, Ore Oru Deivam Thaan". This doctrine was later adopted by his illustrious disciple Sree Narayana Guru to further his message to his disciples. Subharayyan not only preached these words of wisdom but also tried to implement them in letter and spirit. Because of his closeness to the people of lower caste, he was dubbed as Ayya Parayan or Pandiparayan by the upper caste Brahmins. In order to prove his caste, his son had to file an affidavit at the court stating his caste name. This had to be done because of the stiff resistance from the upper class Brahmins in the government machinery. On the Chithrapournami day of ME 1054, Ayya taught Chattampi Swamikal the secret of Balasubramanya Manthram. On the next day, the same Manthram was revealed to Sree Narayana Guru. According to noted critic Kesari Balakrishna Pillai, Subharayyan had received Tantric Buddhist and Hindu yogadarshanas from different Tamil Nadu Shaiva Yogis like Thirujanasambandhamoorthy Nayanar, Thirunavakarasu and Manikkavachakar. In all, there were 51 disciples who followed his footsteps to attain the eternal bliss. Some of the other disciples of Ayya Swamikal are listed below. Ayya Swamikal is one of the reputed society reformer ever lived in the state of Kerala. He has a huge following of disciples. Many of his disciples were impressed by his knowledgeable mind and spiritual practices. Some of the illustrious disciples were Sree Narayana Guru, Ayyankali, Chattampi Swamikal, Swati Tirunal, A.R. Raja Raja Varma, Raja Ravi Varma, Kerala Varma Koithampuran, etc. Subharayyan used to be disciplined and punctual in his work. He never compromised on principles for which he stood vehemently in his life. At home, he spent his time doing meditation and teaching his disciples various techniques of meditation. According to one school of thought, he had mastered the Tantric principles of both Buddhist and Hindus yogasanas. These yogic techniques were taught to him by Shaiva Saints from Tamil Nadu. His famous words of wisdom stating the universal appeal of man, religion and God were taken for good by his illustrious disciple Sree Narayana Guru.